Throughout Elijah’s life God miraculously provided for his every need, just as He provides for every child’s need. 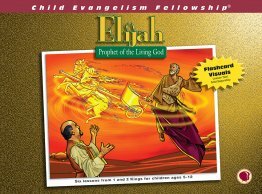 The six-lesson series covers God’s provision for Elijah, the contest on Mount Carmel, Elijah’s discouragement, Naboth’s vineyard, the passing of Elijah’s ministry to Elisha and the Transfiguration. Children learn to trust God, put Him first in everything, be content with what He provides and follow His plan. 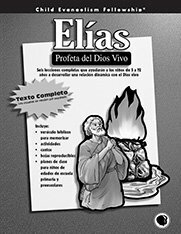 Spanish lesson text for six lessons on the life of Elijah 1 and 2 Kings, helping children develop a dynamic relationship with the living God. Everything the teacher needs to teach 6-11 year olds. 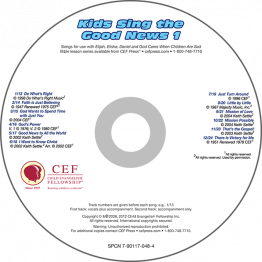 Lesson outlines, detailed story line, review questions, memory verse teachings and more. 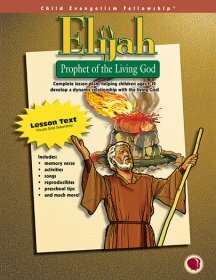 Lesson text for six lessons on the life of Elijah. Lesson outlines, detailed story line, review questions, memory verse teaching and more. Includes memory verse visuals, mission story Rebecca's Great Adventure, teaching cards, resource booklet. Suggest memory verses in the Elijah: Prophet of the Living God series. Suggested memory verses in the Elijah: Prophet of the Living God series.